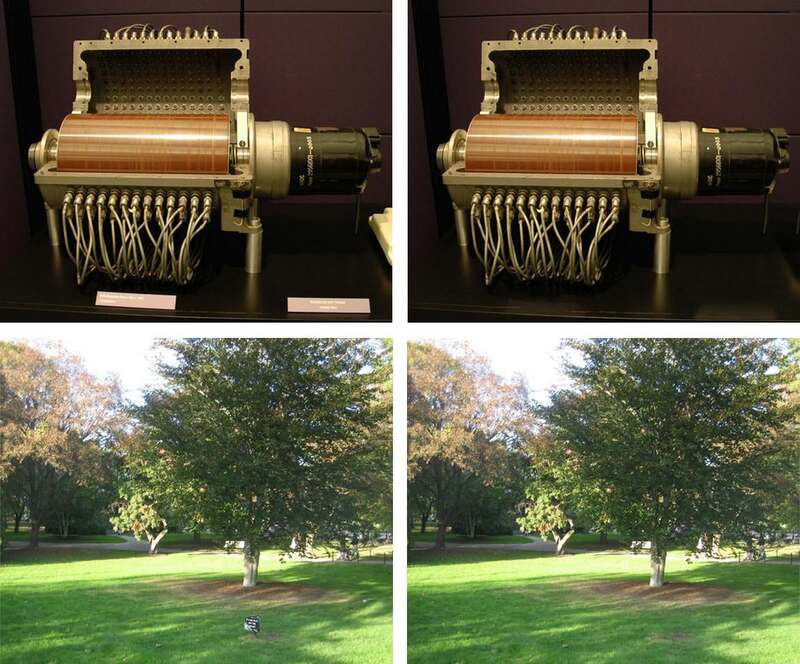 Princeton and Adobe have created automatic distraction removal technology designed to quickly remove unwanted objects from images. Currently, if photographers want to remove a distracting object from an image they can clone it out or if working in Photoshop, the Content Aware Fill tool can be used. However, it's not always the quickest or most fun task but thanks to Computer Vision scientists, this could soon be a thing of the past as new technology called 'distractor prediction' does the hard work for you. Basically, the new technology looks for distracting elements in an image and removes them automatically. All the user has to do is press their mouse button, quickening up the process and making it easier in the process. "Taking pictures is easy, but editing them is not," the researchers wrote in their paper - Finding Distractors In Images. "Professional photographers expend great care and effort to compose aesthetically-pleasing, high-impact imagery. Image editing software like Adobe Photoshop empowers photographers to achieve this impact by manipulating pictures with tremendous control and flexibility – allowing them to carefully post-process good photos and turn them into great photos. However, for most casual photographers this effort is neither possible nor warranted." The researchers said that last year, it was reported that Facebook users were uploading photos at an average rate of 4,000 images per second and the majority of these images were casual, almost spontaneous moments and these types of photographers are who the researchers say could benefit most from this technology. "They effectively chronicle a moment, but without much work on the part of the photographer. Such cases may benefit from semi- or fully-automatic enhancement methods," explain the researchers. The team behind the technology, who are from Princeton University as well as Adobe, began their study by asking people to mark distracting regions in a large collection of images and they then used this data to train a computer to recognise areas of photos people may want to remove. Detectors were created for a wide range of items that could be considered a distraction such as cars and even faces which may seem like an odd choice but it comes in useful when you have someone creeping into frame as Adam Finkelstein, a professor of computer science at Princeton and a co-author of the paper, explains: "We have a specific car detector in the code because people often want to eliminate cars that wander into the frame," Fried said. "We have a face detector. If the face is large and in the centre of the photo, we probably don't want to remove it. But if it is coming in from the side, it might be a photobomb." Although the researchers did produce some promising results, there's still a long way to go until it's continuously making accurate distraction removals, but the team are optimistic that one day, it could be technology we are all using when editing photos. Ohad Fried has uploaded a video to Youtube about the new technology which you can watch below. Using this you could fall foul of the rules in certain photography competitions. will this remove my wife from my photo,s ?